The 2018 Nissan Titan XD from Headquarter Nissan in Columbus, GA, serving Fort Benning, Cataula, and LaGrange, seizes every opportunity to display its power and performance. With the authority of the 5.6L Endurance V8 engine, you’ve got 390 horsepower and 394 lb-ft. of torque to tow and haul with confidence. Easily hook up a trailer with the standard rear vision monitor, or find the perfect angle to back out of every situation. Optional features like the Utili-track channel system and the Titan Boxes give you storage solutions for all situations. A 60/40 split, fold-up rear bench seat helps you keep more inside. 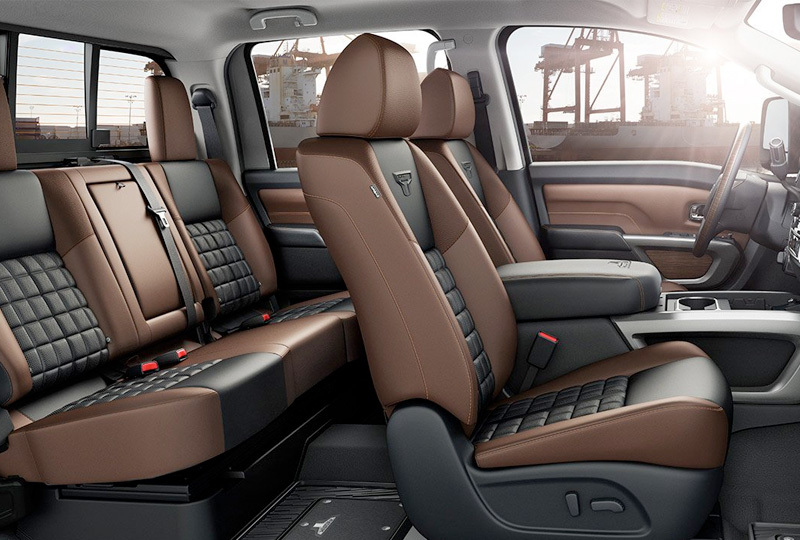 Luxurious seating trims, like durable Vinyl or two-toned leather, will cradle you in comfort. 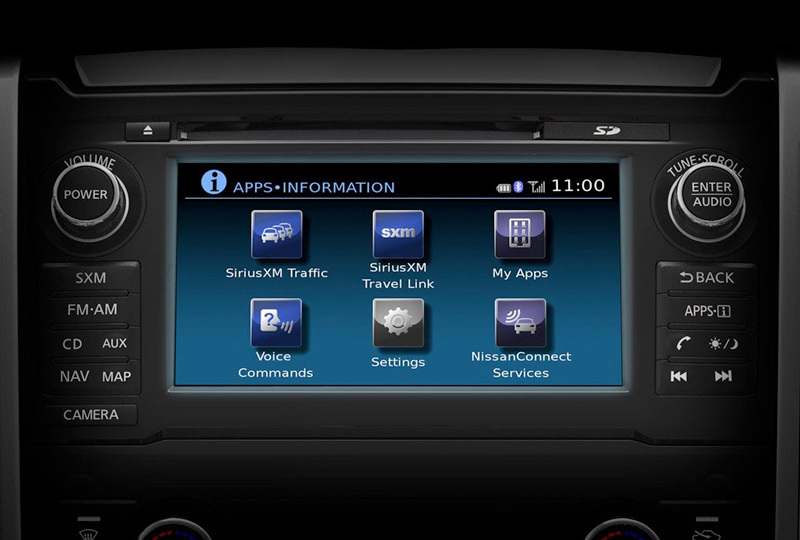 A full-color, 7-inch touchscreen display is the center of attention on the driver-focused dashboard, with audio features and smartphone integration through Bluetooth. Remote keyless entry ensures you easily access the driver’s seat and push-button start gives you the rush of adrenaline you love everytime the engine roars to life. Today is a great day to buy a 2018 Nissan Titan XD! Take your test drive today at Headquarter Nissan by visiting the showroom at 1725 Whittlesey Road, Columbus, Georgia. Ride home in your new 2018 Nissan Titan XD today! UP TO 11,600 LB. MAXIMUM CAPACITY. MORE WAYS TO TOW. 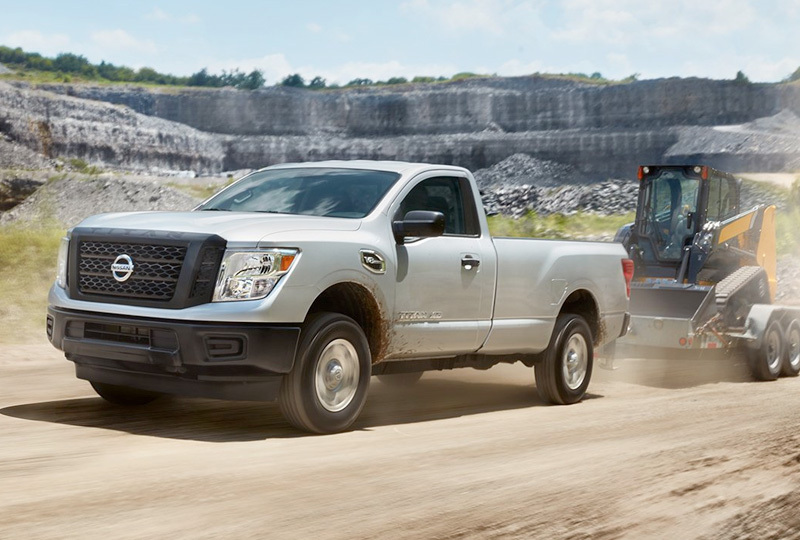 When it comes to towing, TITAN XD reigns supreme. From a jaw-dropping 11,600 lb. maximum capacity, to innovative features designed to make towing easy, TITAN XD gives you the confidence to handle even the biggest loads. 2018 TITAN XD Single Cab 4x2 with Endurance® gas engine shown. Parking will never be the same. When you're in Reverse, the RearView Monitor shows what's directly behind you and helps make backing up and parking easier. 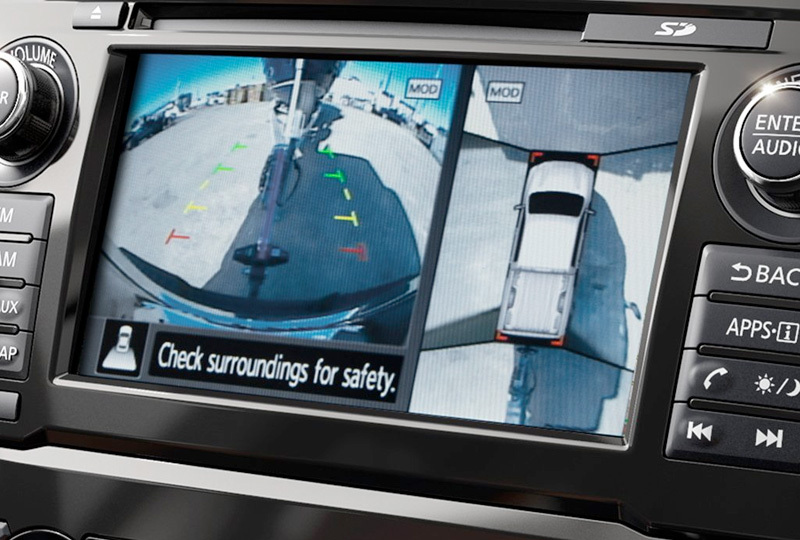 The available Intelligent Around View Monitor helps give you a virtual 360º composite view around your vehicle, so no matter which way you're parking, you'll be aware of your surroundings.